It's finally here! The Alice through the Looking Glass palette from Urban Decay. 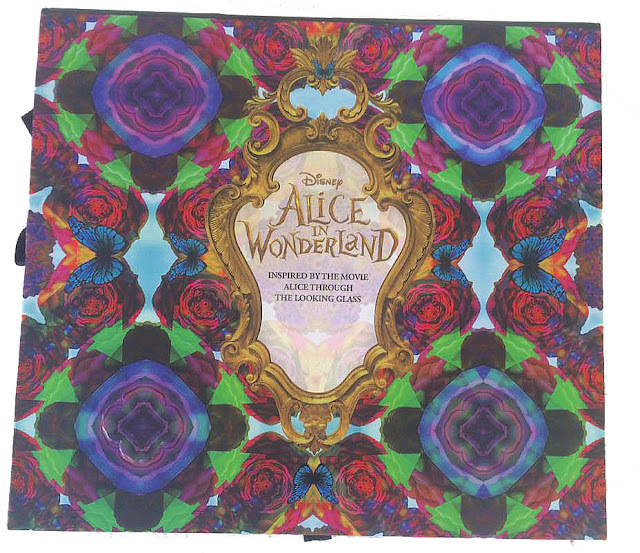 I can't remember the last time I felt so excited about a beauty release, maybe because I'm a die hard Alice in Wonderland and Urban Decay fan. I'm so glad that I managed to get hold of this, as I didn't have enough £££ or make-up know-how when the first palette came out back in 2010 and I expected it to have sold out within minutes of its release. Of course, the main thing that excited me about this is the packaging - it is so beautiful! I love the kaleidoscope design on the exterior of the box and don't get me started on the inside. 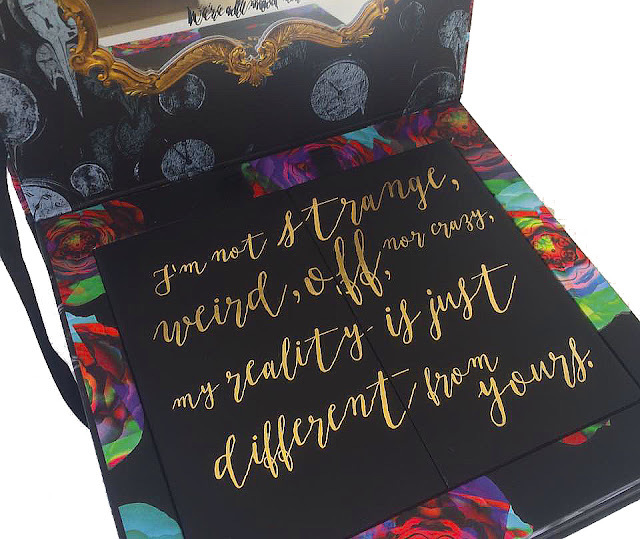 "I'm not strange, weird, off nor crazy, my reality is just different from yours." I love this cursive gold lettering and the quote itself and it just demonstrates the attention to detail that has gone in to designing this product and how much it has been inspired by the film. The mirror is also quite impressive, featuring another infamous quote "We're all mad here". 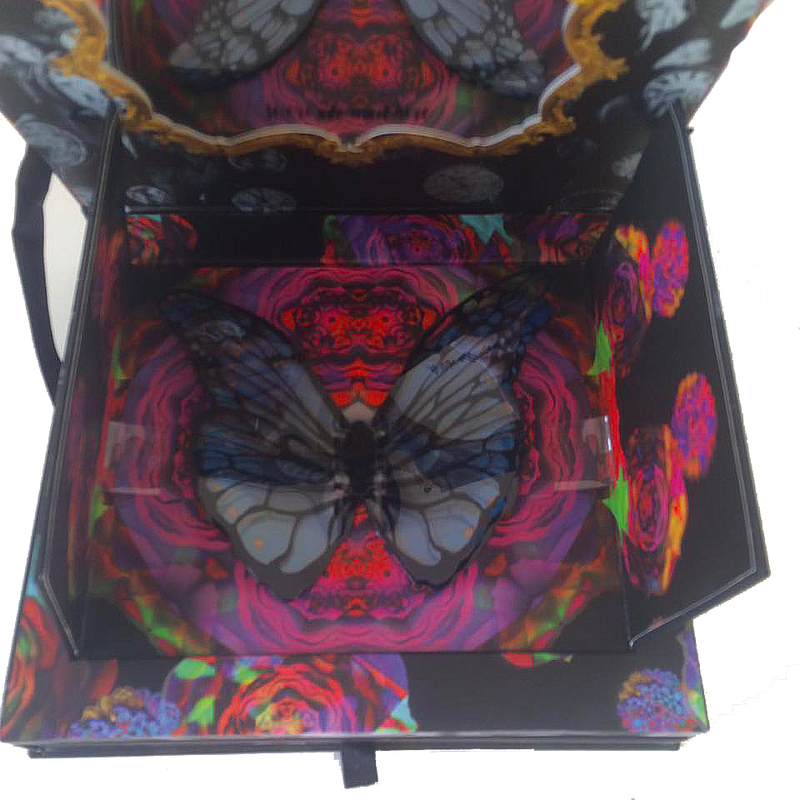 I think the main event of the packaging is definitely the pop-up butterfly hidden behind the two doors. It's such an interesting concept and makes the palette just that bit more special. 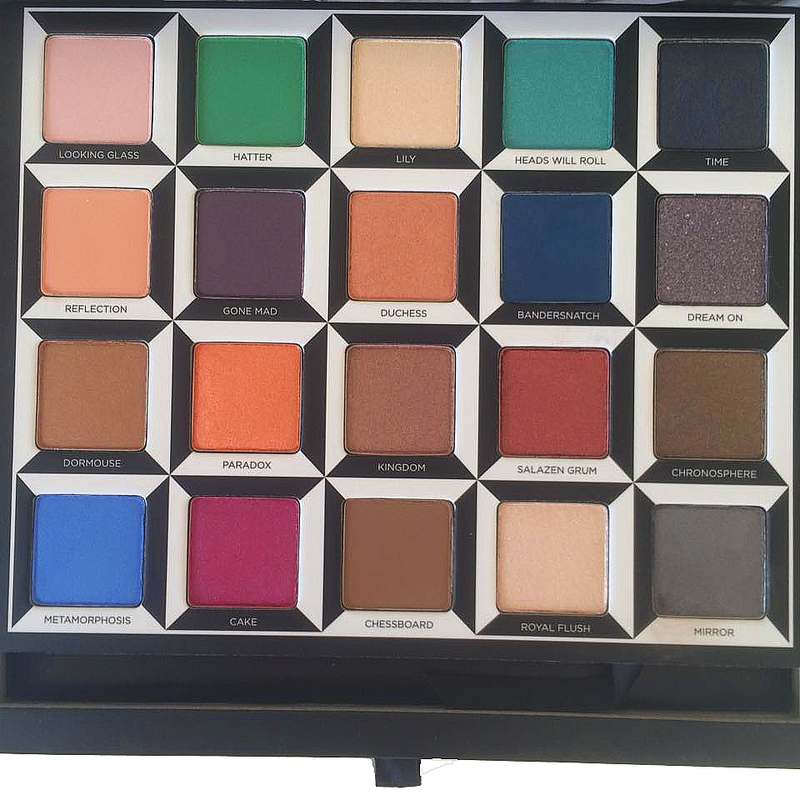 The palette features 20 matte/shimmer shades inspired by the characters. As a neutrals kind of girl, I was quite terrified by some of these shades, particularly: Hatter, Metamorphis and Cake. However, the remaining shades are rather wearable and beautiful. My favourites are definitely: Lily, Time, Dream On, Dormouse, Salazen Grum and Chessboard. Unfortunately, the pigmentation isn't the best especially with the paler shades and you would definitely need to use a primer to ensure the colour is intensified. With that in mind, it's not the best palette but is definitely worth the money if you're interested in owning such a gorgeous collectable. Have you managed to get your hands on the palette? If so, what are your thoughts?